Speakers matter a lot when it comes to the sound quality of your system and you cannot just buy any stereo speaker without checking the sound quality and comparing it with the other stereo speakers. 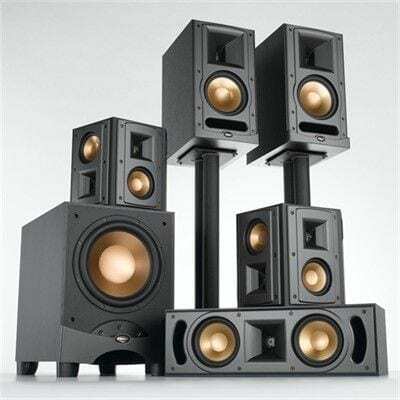 In fact, if you have to buy stereo speakers for your home theater system or your music system then you’ve got to do a proper research, read speaker reviews and compare the sound quality, the features and the prices with the other speakers. The fact that when we go to the market, we all get confused about which product is for real and comes with a high quality or which one is just another hoax because almost all the companies out there claim to provide the best and the same standards of quality which obviously isn’t possible. However, when it comes to the stereo speakers, we won’t let you get confused any more because in this article we are here with a few important factors that you need to consider before buying these stereo speakers. So, folks, take notes of what we are about to tell you because this article can actually be very helpful for you in buying an extraordinary pair of stereo speakers. You might not know about this but when it comes to the quality of sound, everyone has his own choice and taste. You might feel like a particular stereo speaker sounds just perfect but the other person next to you might think of the sound quality to be so so. So, this is more about your personal choice and how you measure the sound quality to be perfect. Now, you might be thinking what exactly can be done to figure out the best sound quality speaker, well, it’s pretty simple, you check four to five different speakers and then you compare their sound quality. It is very obvious that you are going to like any one of them as the best and that exactly is what you need to buy. Also, make sure that you are in no hurry when you are buying a stereo speaker, you might have to listen to one speaker several times to actually judge the sound quality so know that it would need some time and some patience too. There are several types of speakers and before heading to the market, you have to identify the type of speaker you want for your home stereo system. Do you need bookshelf speakers or do you want them to be hanged? You need to do some online research on the types of speakers then identify what exactly do you need and then head to the market to buy that particular type. However when it comes to suggestions, well, we would recommend you to choose between bookshelf speakers or floor-standing speakers because both these types usually have the best sound quality due to the fact that when it comes to these speakers, the drives and the enclosures match perfectly. It’s not only the pair of speakers that needs your focus in fact, you’ve got to do some good matching of the components too. Like in order to get the best results, you should match your speaker with an amplifier that is capable to deliver the correct amount of power that your speaker needs. The manufacturers of the stereo speakers usually mention the power of amplifier required for excellent sound quality so make sure that you read the instructions carefully and try to buy the amplifier from the same manufacturer from where you bought your stereo speakers. These are a few main things that you have to keep in mind before making a final decision on any stereo speaker. Just make sure you follow the above mentioned tips because only then will you end up buying something that is worthy of every single penny. Don’t let your money go to waste by falling victim to a hoax.